A watch designed in Chicago that garnered attention through a successful crowdfunding campaign in 2013 remains a work in progress that has run out of funding, resulting in scores of frustrated backers and pre-order customers who kicked-in more than one million dollars for the project. Described as “the world’s thinnest watch,” the CST-01 is as thin as a credit card. 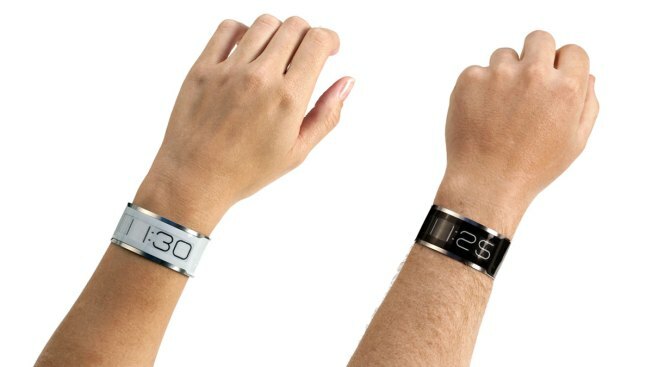 Its designers layered a watch’s electronics, battery and E-Ink display on a thin piece of stainless steel. Early versions of the watch buzzed online and attracted a lot of interest. Central Standard Timing, the Chicago-based designing team behind the CST-01, took to Kickstarter in early 2013 in an attempt to raise $200,000. The crowdfunding campaign exceeded its goal and raised $1,026,292 from backers who pledged to help bring the CST-01 watch to life. Pre-order customers raised another $322,000 for Central Standard Timing. "It just looked pretty sleek so that’s why I chose to back it," said William Chung, who pledged $129. Those who pledged certain dollar amounts were offered CST-01 watches in return. Chung said he expected his watch to be shipped later that year. "I thought it would be a really nice birthday gift for myself to have a really nice watch pre-dating Apple Watch," Chung said. After the crowdfunding campaign, Central Standard Timing posted updates on its Kickstarter page and spent the following months fine-tuning the CST-01. However, the watch’s supporters said estimated shipping deadlines were not being met and production updates were getting less frequent. "There’s growing pains and there’s issues, but I think the communication or lack thereof was the biggest issue for me,” said Vishal Bhuta, who pre-ordered a CST-01 in September of 2013. Last month, Central Standard Timing posted an update that production numbers and speed of production were "much lower than estimated." Central Standard Timing co-founder Dave Vondle told NBC 5 Investigates that as of April 2015, only eighty units had been shipped, while 8,243 watches would need to be manufactured and delivered in order to satisfy all Kickstarter backers and pre-order customers. “We deeply apologize for the fact that they don’t have a watch,” Vondle said. Vondle explained that unexpected issues related to the battery, display and manufacturing resulted in Central Standard Timing using all of its money on parts, tooling and tests. The company said it has the majority of the parts needed, but it is struggling with the yield and costs involved to assemble them into final units. According to Vondle, the cost to produce a single watch ballooned from $70 to around $300. Vondle said the company is working with its attorney regarding order fulfillments. “We are doing everything in our power to get these units out to our customers,” Vondle said. According to Vondle, 135 units are sitting at a warehouse in California. He said they will also be working on an additional 200 units. Many backers are posting angry comments on message boards related to the delay. Some said the money was squandered. Others are taking a more sympathetic tone toward Central Standard Timing, underscoring the risks backers take when pledging money to crowdfunding projects. Kickstarter’s rules prevent it from intervening in disputes between “creators” and “backers”. A spokesperson for the six- year-old crowdfunding platform said Kickstarter is not a store. Rather, the company describes itself as a place where people can take risks to help bring new, innovative ideas to life. The Better Business Bureau, which performed an in-depth study on crowdfunding for charitable causes, urges consumers to research a project before they pledge money. "You should never give any money that you can’t afford to invest and probably look at it, generally, as a donation," said Tom Joyce of the Better Business Bureau serving Chicago and Northern Illinois. Ethan Mollick of the Wharton School of the University of Pennsylvania researched crowdfunding and found that while the majority of creators fulfill their obligations to funders, more than 75 percent of the creators deliver products later than expected. "You are getting a discount on a product that doesn’t yet exist and you get to support creators doing something worthwhile," Mollick said. "But you’re taking a risk." Mollick said crowdfunding campaigns headed by industry veterans increase the chances of a product being delivered.